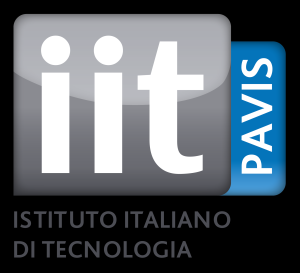 Pattern Analysis and Computer Vision (PAVIS) focuses on activities related to the analysis and understanding of images and patterns in general, thus representing a reference for the other IIT Departments and labs which have to deal with such kind of data. PAVIS staff has a wide expertise on image processing, computer vision and pattern recognition, machine learning, and related applications. Actually, the research in PAVIS is devoted to study and to build intelligent systems for real applications, especially related, but not limited, to surveillance & security, biomedical imaging, and bioinformatics. One of the primary goals is to design and develop innovative video surveillance systems, characterized by the use of highly-functional smart sensors and advanced video analytics features. To this end, PAVIS performs cutting edge research in computer vision and pattern recognition, but also in biometrics, multimodal data and sensor fusion, sensors networks, and embedded computer vision. These areas are thoroughly probed under a theoretical perspective, and applied for solving real cases, especially involving other disciplinary subjects like psychology, biology, physics. Actually, we are convinced that a multidisciplinary view is at the basis of a serious problem solving activity. The lab will pursue these goals by working in cooperation with internal resources and external private and public partners.